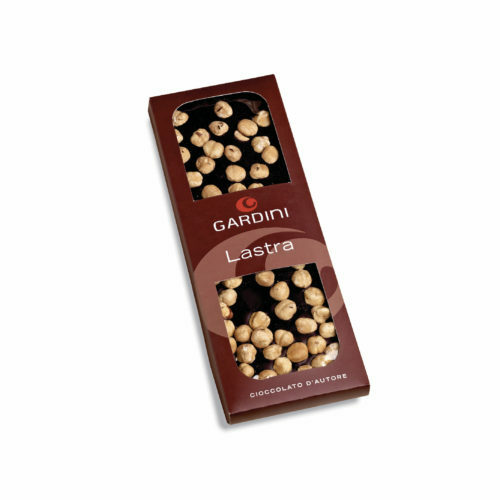 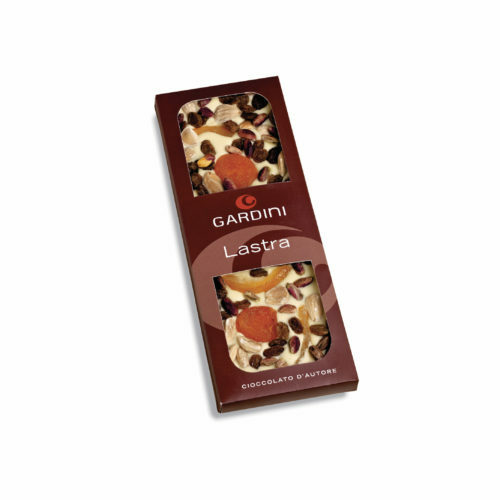 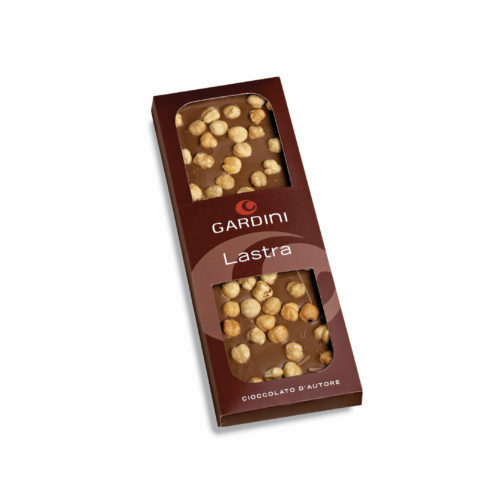 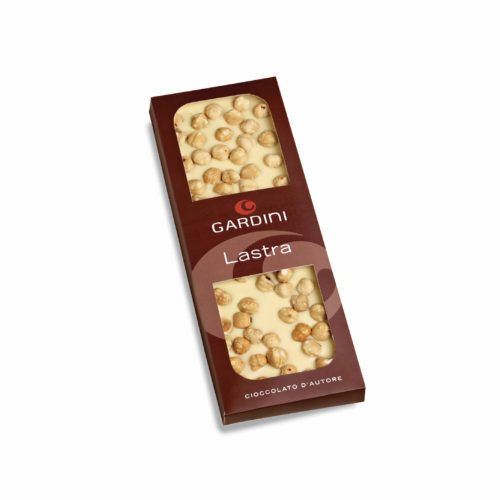 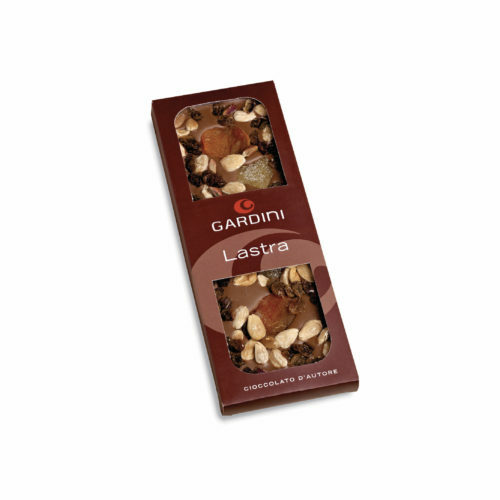 Extra dark, milk or white chocolate enriched with dried and candied fruit: pistachios, raisin, almonds, apricots, ginger, candied oranges and hazelnuts. 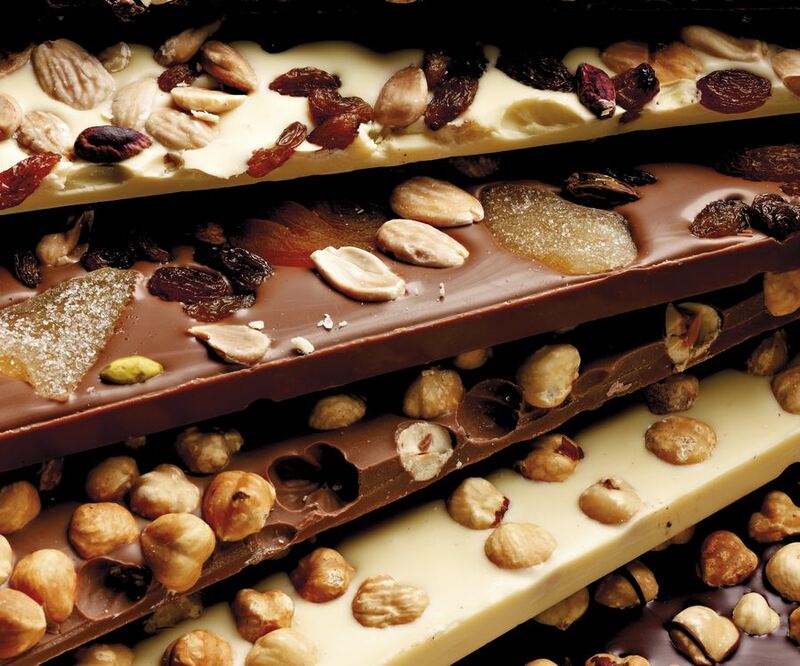 A sweet choice to taste everytime. 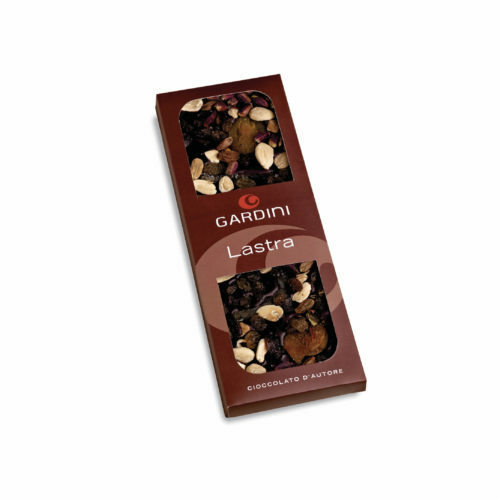 A perfect product for those who likes all the high quality handmade chocolate shades.